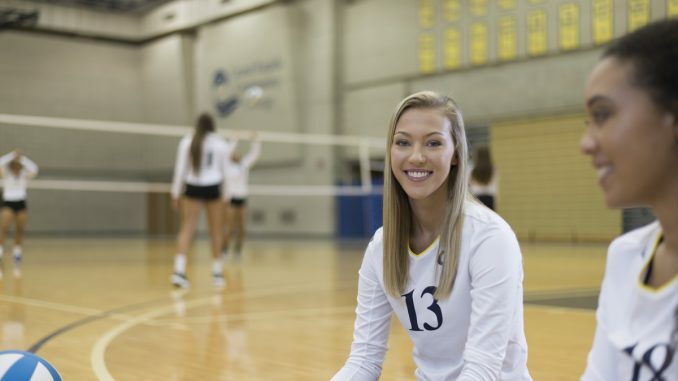 Kendra DeJonge, a Rockford High School graduate, was named to the 2017 Two-Year College Third Team All-American team by the American Volleyball Coaches Association. This honor comes less than two weeks after she was named to the National Junior College Athletic Association’s Division II All-American Second Team. The AVCA makes its selections from student-athletes in the NJCAA Division I, II and III. GRCC head volleyball coach Chip Will said the recognition is well-deserved. 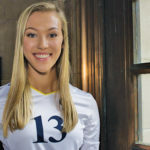 “Kendra has worked hard to improve all facets of her game so she could become a great college outside hitter,” he said. “She has grown and matured throughout the season, earning the trust of her teammates in clutch situations. 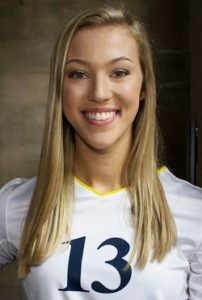 DeJonge was the Michigan Community College Athletic Association’s Freshman of the Year. She also earned First Team All-Region, All-MCCAA, First Team All-Western Conference and Western Conference Freshman of the Year. Through the season, she recorded 406 kills, 320 digs and 43 aces. She ranked 33rd nationally in kills and 9th in kills per set. DeJonge, an outside hitter, powered a potent Raiders offense all the way to the Region XII, District F finals, where GRCC fell to eventual national runner-up Owens Community College. The GRCC Raiders had a 27-3 (16-0 MCCAA-West) record and a No. 3 national ranking this fall. 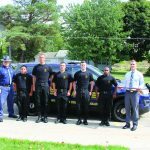 At GRCC, DeJonge is working on an associate degree in business. 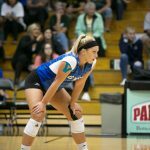 While she had worked with Coach Will as a high school player, she wasn’t sure she wanted to attend a two-year college. DeJonge plans to transfer to Grand Valley State University for a bachelor’s degree in business administration and pursue a career as a personal financial advisor. 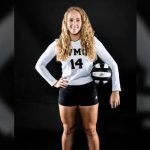 Being a part of the volleyball team has been a highlight of her first semester, she said.